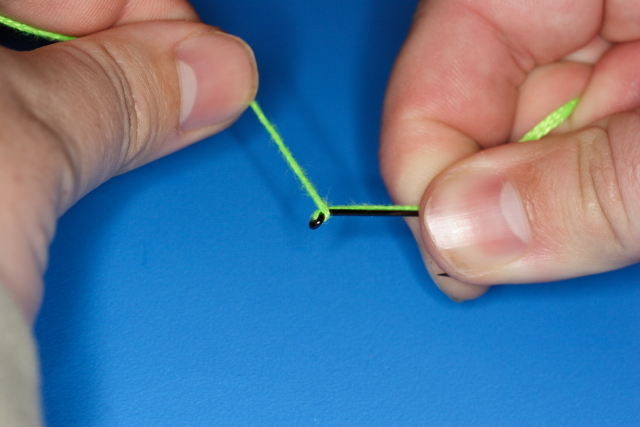 Please note that I am using a large hook and green string for illustrative purposes, you will probably use smaller :). 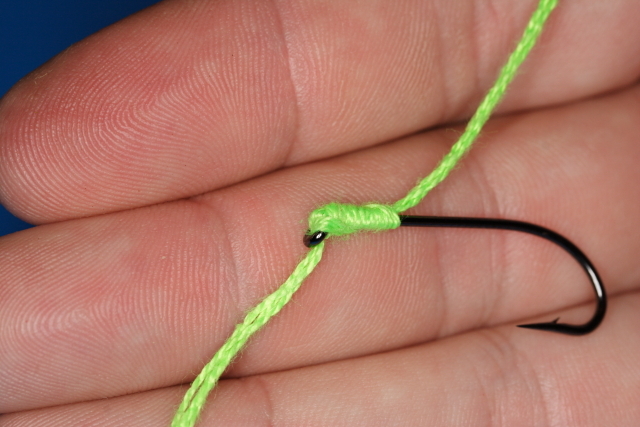 Take your line and thread it through the eye of the hook so that the tag end emerges from the back of the hook ( at the top end of this picture ). 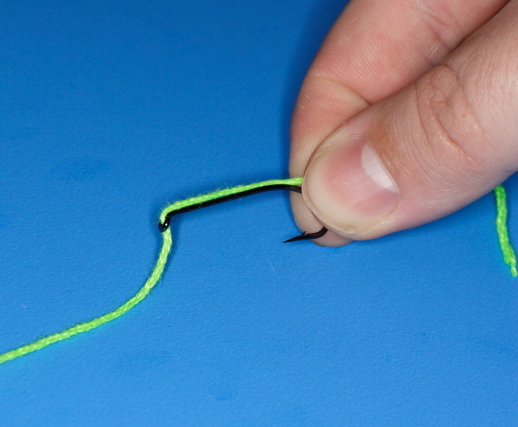 Decide on the length of hair you want and trap the ling against the back of the hook at the correct length. You might find it easier to tie the loop on the end of the hair at the point, put on a boillie etc and set the desired hair length directly. 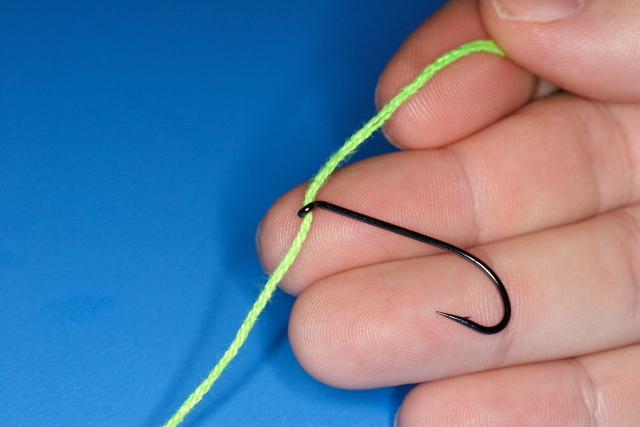 Take the non “hair” end of the line ( the end emerging through the bottom of the hook eye) and start to whip around the hook shank. Keep whipping down the hook shank for between 6-12 turns or untill the desired point for the hair to emerge from the back of the hook has been reached. 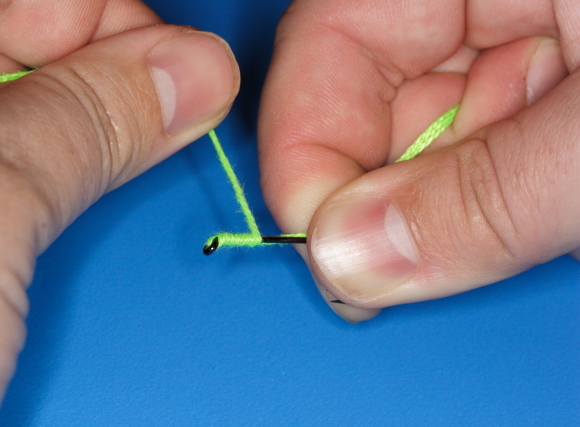 Once you have reached the desired point as above, stop the whipping on an upwards stroke ( line in this case will be on the side of the hook closest to the thumb) and thread it down theough the eye. Moisten with saliava and pull tight using the left hand tag not the hair. 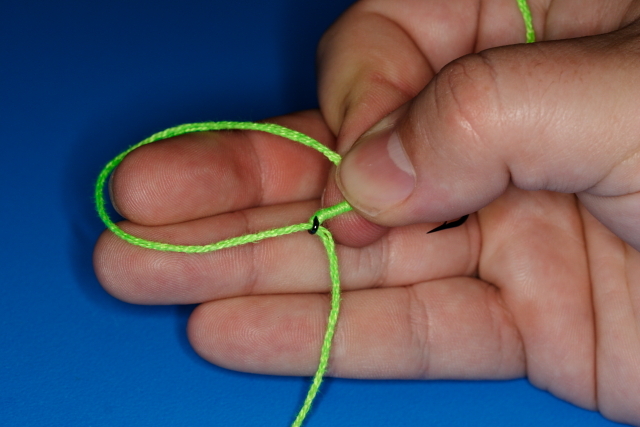 And there you have it, a completed knotless knot.